On Thursday I was discussing the horrible sensitive/dry skin issues I’ve been trying to sort out. I’ve been getting samples left, right and centre trying to find a miracle cure! 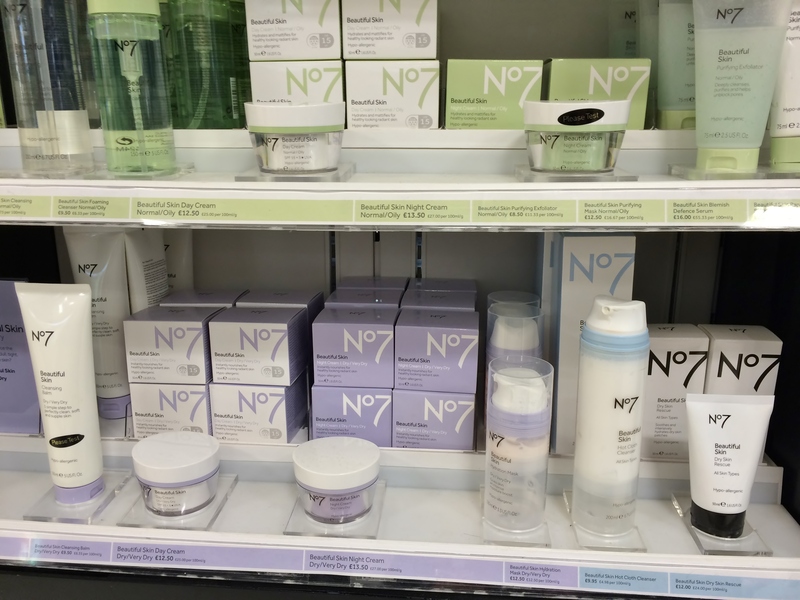 For the first time ever I investigated what No.7 had to offer and I have to admit I was pleasantly surprised. 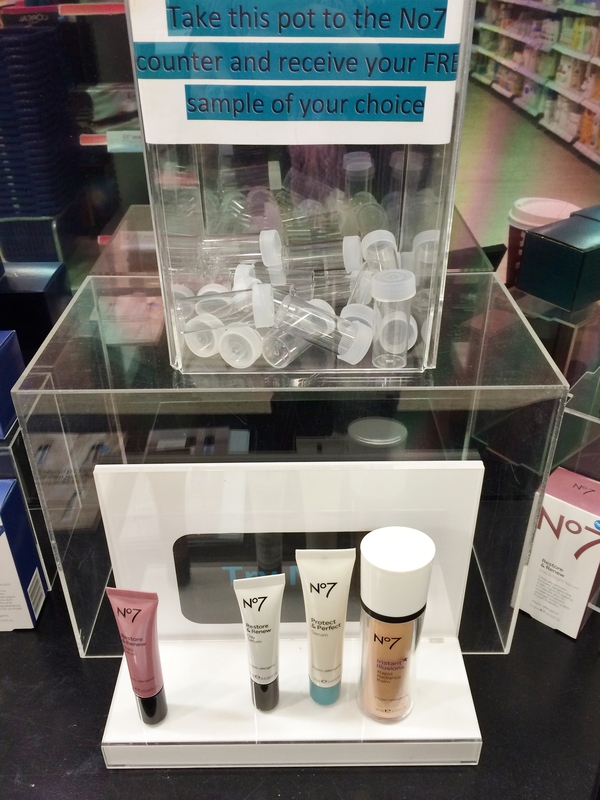 What finally enticed me over to their counter was the fact that they were offering free samples of any product you wanted to try, for me this is the mark of a great company! 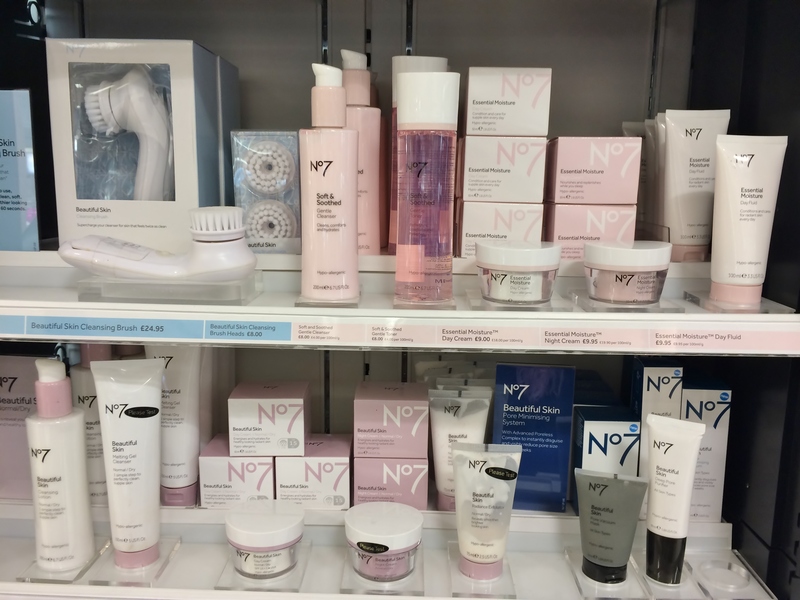 After perusing their skin care range I was definitely blown away at how expansive it is and how well they have catered for those of us with delicate skin. They have so many different cleansers, exfoliators, toners, moisturisers and hot cloth washes I felt like a kid in a candy shop. I even spied a facial cleansing system for £24.99…if any of you have tried it please let me know. I most definitely had to restrain myself, especially as they have a 3 for 2 offer on! Instead I had a quick chat with the lovely sales assistant and was given two samples. If my skin does not react to them and I see any improvement I will be purchasing a few essentials…fingers crossed that it works out! One of the biggest issues I’ve been having…apart from dry, flaky skin…is enlarged pores, they are driving me nuts! I had a little go with Benefit’s POREfessional but wasn’t that sold. I plan on going back to Boots with no makeup…oh the horror…so I can see if the Benefit option is any good?! A clever skin perfector that instantly disguises the appearance of enlarged pores. This lightweight, non-greasy serum tightens pores and removes excess oils. It effectively transforms skin’s texture to reveal smoother, more radiant and shine free skin. Day by day it works to visibly reduce pore size in 2 weeks. For Best Results: Apply to clean skin, blending in gently where pores are most visible. Use twice a day. Can be used as a base under make-up. 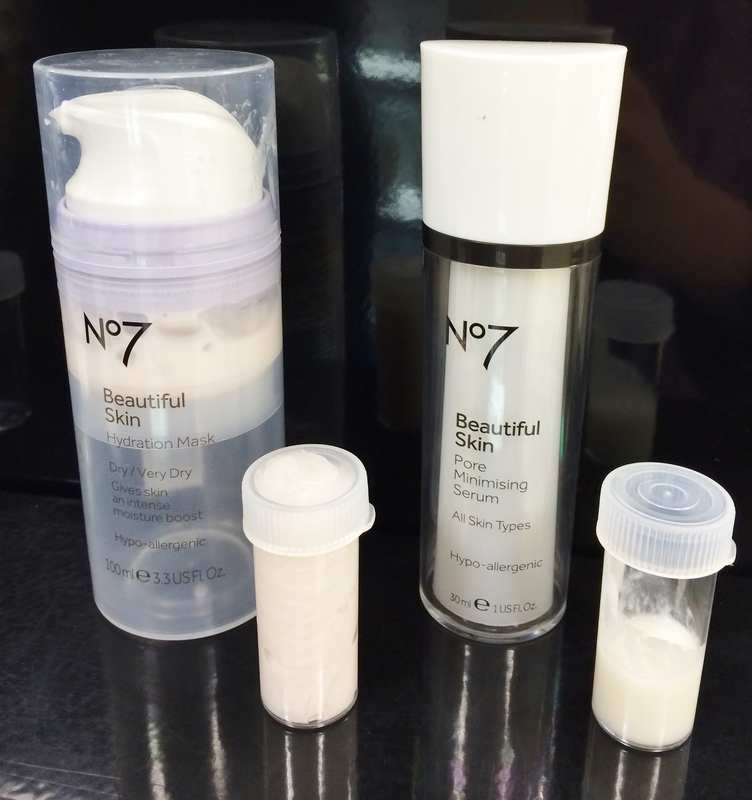 Follow with your favourite No7 moisturiser. Initial Verdict: Goes on really nice, leaves skin very soft and you only need a little bit. I didn’t notice any sensitivity issues apart from a very slight tingle that settled really quickly. As for any changes to the size of my pores I haven’t really seen any yet. It does say you will notice changes within 14 days so I guess we’ll see?! Again my current dry, flaky skin situ is driving me to distraction. I have had to downgrade my usual foundation to a CC cream until I get a handle on the rubbishness that is my skin! 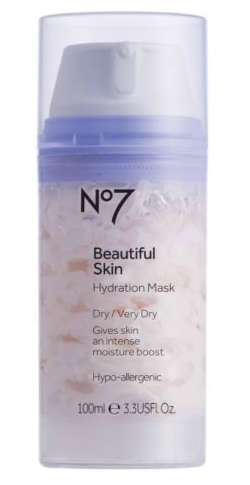 If I hadn’t been advised to try this product I would have passed it over believing it was just a mask, when in fact it can be used as a twice daily moisturiser for extra dry skin. I was warned that after it absorbs into my skin I may be left with an oily residue that can be wiped away with some dry cotton pads. Initial Verdict: Now this is a product I’m seriously impressed with. My skin drank this up with no ill effects. As for the oily residue but there was nothing. Again I need to use this morning and night for 14 days to really know but considering I have not reacted to the moisturiser I feel confident to use the other skin care products in the same range. I guess I’ll see you here in two weeks to let you know how I got on.